You are here: Home / Driveways / Driveways for a stand out home! 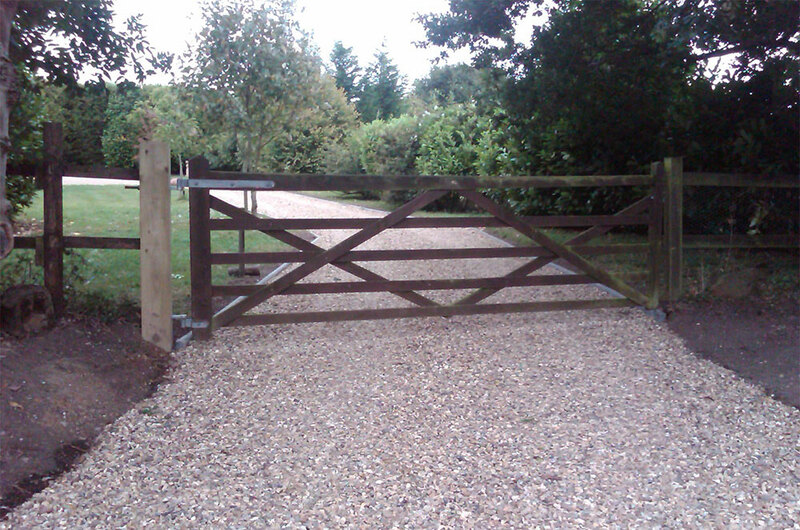 At Timberley Projects, we have been supplying driveways to our Sussex, Surrey and Hampshire customers for many years. As you might expect, we work from the ground up. Our one-stop-shop takes you from driveway concept to completion. We’ll work with you to design the perfect first impression. We also take care of any preliminary work or alterations, so you don’t have to engage multiple contractors. A quality driveway will, without doubt, add to the curb appeal, and most likely the value of your Sussex, Surrey or Hampshire home. As we head into the warmer months, it’s the perfect time to think about giving your house a little facelift. A new driveway can be just the ticket, but what are the options? Resin Bound offers the new gold-standard of driveways! They look great and can add colourful kerb appeal. You can choose your colour and edging, so you get a truly bespoke design. Read more about the Resin Bound process HERE. A beautifully paved, herringbone effect paved driveway can be stunning. Complimenting the architecture of your Sussex home. But there’s more to block paving than looks, it’s also durable and long lasting. Read more about Block Paving HERE. There’s a reason that concrete driveways are a popular choice… It’s quick to install and structurally very long lasting. Read more HERE. If your driveway gets fairly heavy traffic, then this is a good choice. This material can support heavy loads and is long lasting. Find out more HERE. If you’re on a budget, then gravel could be the perfect choice for you. It’s cost-effective but still looks great, so your home gets the facelift it deserves. Find out more HERE. If you have strong environmental credentials, then this might be just the ticket. By using reclaimed and recycled pavers and stone, we can create a unique driveway for you. Discover more HERE. At Timberley Projects, we work within Sussex, Surrey and Hampshire and can offer driveway solutions to fit your budget or circumstances. Just give us a call to arrange a no-obligation consultation.